-Creativity is not reserved for artists and musicians. Scientists and mathematicians can be creative as well. Edison famously stated that he did not just find one way to make a lightbulb, but he found 10,000 ways to not make a lightbulb. When did play become estranged from work? -How many of you have fun at your place of work? -Have you had a personal experience with command and control leadership? How did it impact your motivation, relationships, and effectiveness? -Do you know of any work places that are trying to incorporate play? -Why do we deny humans the need to celebrate? -How did you play as a kid? -What do you see as the possible effects of modern day technology on the critical thinking skills of our young people today? Why Should We Care About Critical Thinking? top down as we are used to. The World cafe Method is an example of practice that has been implemented all over to deal with critical issues like healthcare or homelessness." How you develop ability to analyze? How you filter so much information ? 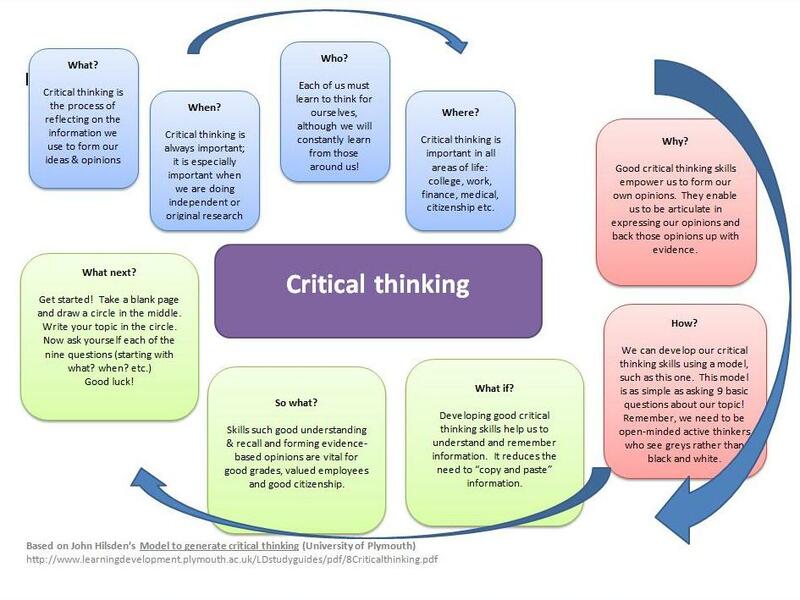 tones of information students have access to , ow do we learn to be critical thinkers? Are there ways or models that could inspire us? The short video below demonstrates 5 tips to improve our ability on critical thinking. " 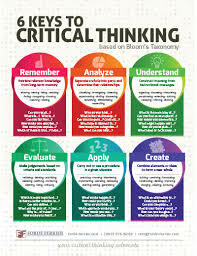 Share your critical thinking process. Did you realize anything or learn anything? How does this activity strengthen your critical thinking skills? Please share your personal ways of thinking critically in your personal life, work, school, etc. Is this something you would continue to use in the future? "The Models above also assist us on visualizing ways of implementing critical thinking. 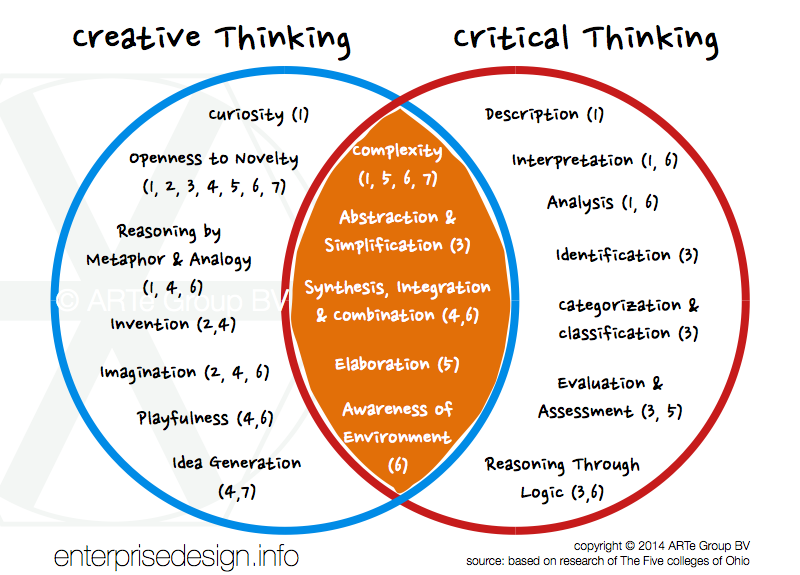 Creative thinking and critical thinking both work towards problem solving. Another exercise is to ask questions like who, what, when focused on the topic being discussed. The third model includes understanding and remembering as areas of equal importance as analyzing or evaluating. Which leads us to a question to our class: how do you keep track of your questions while volunteering in your community partner? Do you carry journals? How do you analyze questions that come up? Some classmates shared that they have a daily ritual of writing. Some use flowcharts to develop their thinking." Using music as a tunnel to critical thinking. Getting creative and innovative with problem solving toward effective change and growth for our local communities and everyone around us. Music education, singing in choir specifically, opens the world that is possible. The world that is peaceful, the world that beams with love for every color and every shade. How do we C.O.P.E. with our societal circumstances by using critical thinking? What do we need to make effective and positive change? There NEEDS to be social justice! The future can only be bright if we raise them right. There is dire need for critical thinking in order to find new and inventive ways to reach people’s hearts, ultimately breaking down social/racial barriers. Violence has shown time and time again that it leads to more violence. And the so-called “peace” that is achieved through violent acts only suppresses another future violent event. Many times, violence will occur if an individual or group has been oppressed and/or disrespected. Then to add to it, that individual/group isn’t being listened to when they speak up for themselves. Ultimately, peace cannot exist unless there is justice for EVERYONE. Music can lead critical thinking into a new, innovative dimension toward social justice and truth.